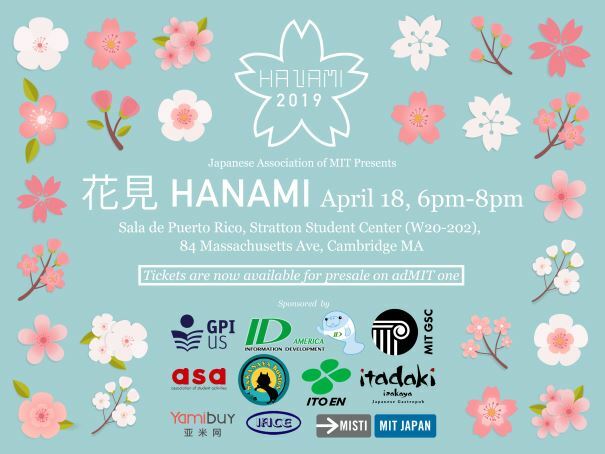 Hanami Festival is a traditional party held around spring in Japan to celebrate the coming academic new year (starting from April) and enjoying the beauty of the cherry blossom. Please join us and enjoy Japanese authentic food including sushi and beef bowls. We will also provide several experiences such as calligraphy, Japanese traditional board game and making own green tea. The customer can choose one of the foods per ticket including Sushi, Gyudon (Beef bowl), Takoyaki (Octopus pancake), Karaage (Japanese Fried Chicken) and fried dumpling. All the customer purchased the online ticket will have a bottle of free green tea on event day and customers who register via .edu email address will get another FREE foods ticket !! *Please bring your ID (Any ID with photo and names) to pick up your ticket on the event day!